← Special Financing Offer Starts Today! SPECIAL WEEKEND OFFER! ENDS TOMORROW! 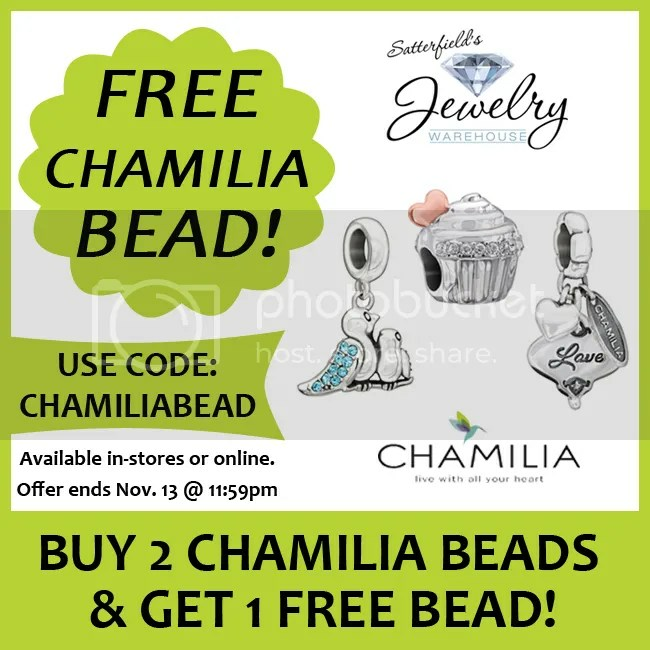 Buy 2 Chamilia Beads, get 1 FREE*! Free Bead must be of equal or lesser value. Does not include sale beads or retired beads. Use code: ChamiliaBead upon check out. Special offer also available in stores. We are open until 7 pm! Offer ends tomorrow, Nov. 13 @ 11:59pm. This entry was posted in Jewelry, Jewelry News, Jewelry Promotions, Sales and tagged chamilia, chamilia bead, chamilia promo, chamilia special offer, free bead, free chamilia bead, jewelry warehouse. Bookmark the permalink.